What advice would the famous Dead offer us today? And how would they speak to us? 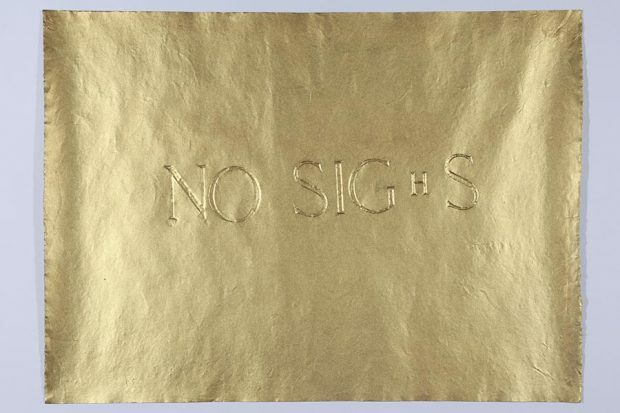 BORIS+NATASCHA transform the tombstones of the famous Dead into contemporary oracles. In ancient Greece, the Oracle was considered to be a person or source of wise counsel or prophetic opinion, sometimes speaking through another object or life form. 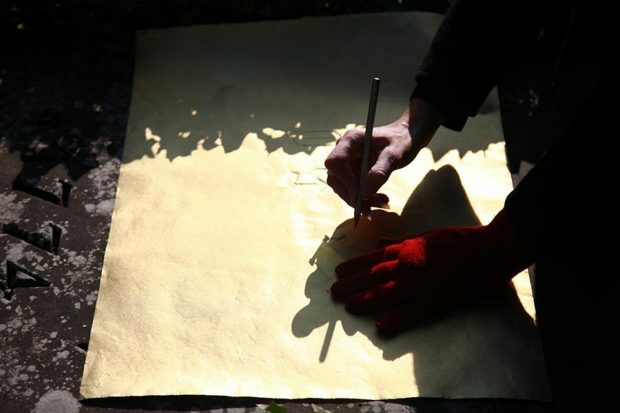 A sheet of handcrafted Mulberry gold paper is placed over the engraved or embossed letters of the Deceased’s tombstone. 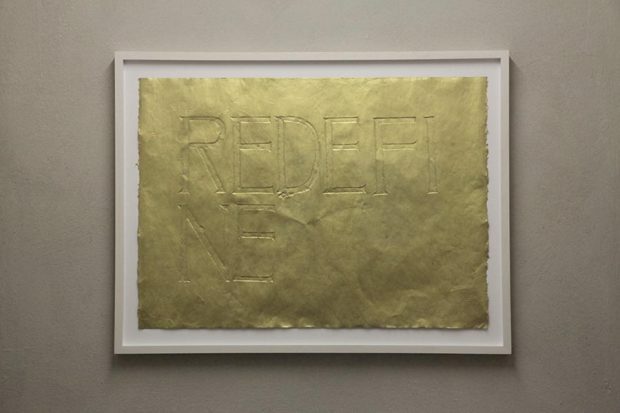 Rubbing the letters with a gold pencil BORIS+NATASCHA create an imprint in the paper. Akin to an embossing, they satirically re-named the technique into Grave Rubbery. Mixing up the order of the letters of the name to create new words, this message from beyond comes close to an anagram or Scrabble game. In the UK rubbing was used between the 13th and 16th centuries to reproduce commemorative brass plaques found on the floor of churches. In 1925, Max Ernst developed this into a surrealist technique to create random textures for his drawings and paintings, naming it ‘Frottage’ (Fr. frotter, ‘to rub‘). 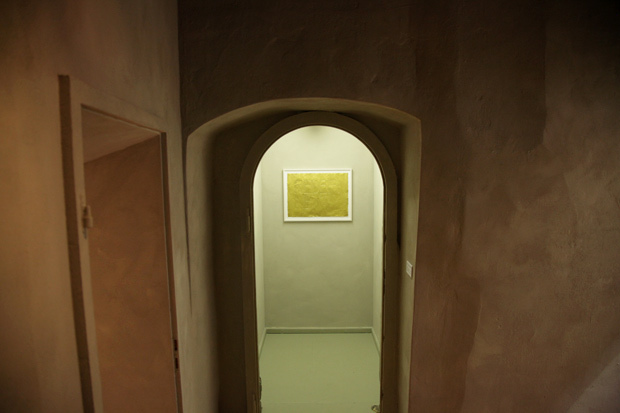 BORIS+NATASCHA began this project during an Australia Council Paris residency in 2009/10 with Max Ernst’s tombstone. Around Paris they continued with over 40 other ORACLES, amongst them Vincent Van Gogh, Oscar Wilde, Jim Morrison, Edith Piaf, Frederic Chopin and Susan Sontag. Since then they have continued Grave Rubbery with many famous dead Germans, amongst them Friedrich Nietzsche, Hitler’s parents and Caspar David Friedrich. More on this collaboration with Australian artist Natascha Stellmach on www.borisandnatascha.com. October 2011. 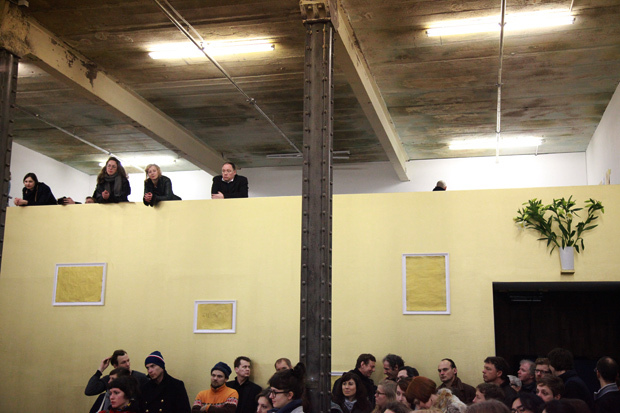 This participatory performance, commissioned by MAK Vienna, Austrian Museum for Applied Arts & Contemporary Art, was situated within the BORIS+NATASCHA installation. The performance featured Berlin medium Susanne Semrow and the Granddaddy of Psychoanalysis, Sigmund Freud. Hosted by BORIS+NATASCHA, the evening offered a series of special treats to lure MAK participants into a heightened state, including a magic body stamp, a poison-bliss drink complete with edible gold and a secret ingredient, memento mori merchandise and a mass hypnosis led by Susanne Semrow. Across a 15-minute trance, participants had the opportunity to contact Sigmund Freud and then confess their revelations and eclectic experiences to the group. Dancing ensued, to the BORIS+NATASCHA paranormal mix in the Witchhouse Disco. The installation featured 8 framed ‘ORACLES’, related curiosities from the MAK collection (curated by BORIS+NATASCHA) and two projected videos ( ‘Making-of ORACLE’ & ‘Freud’s Rohrschach Couch’). Bizarre and quirky artwork, exciting and humorous. Mixture of research, stealth, synchronicity, mysticism and guerilla action. 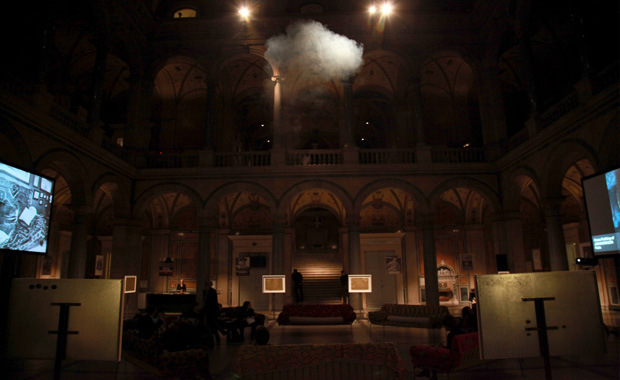 Art world zombies hit Basel this year with messages from beyond the grave.